Pete Crow in Kennedy Media Center 5 am Friday, November 3, 2012. 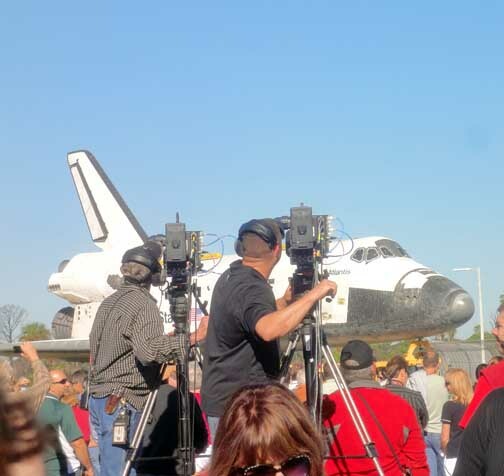 An unusually large number of media showed up to cover the final event in the American Space Shuttle program. 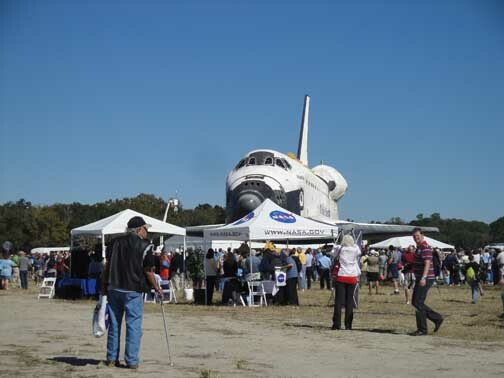 Once the decision was made in 2010 to shutter the American space shuttle program, the program began wrapping up. The last mission was flown in July 2011, STS-135. It was an add-on mission to supply the International Space Station through the end of 2012 in hopes that SpaceX would be able to get flying in time to re-supply the ISS and to avoid the shut-down of the ISS sometime early in 2013. SpaceX made its first re-supply mission earlier this year. The ISS is safe. 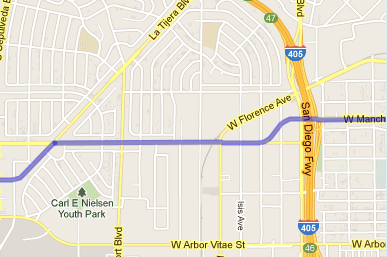 Next the decision was made where to send the shuttles. The Smithsonian got the oldest surviving member of the fleet, Discovery, but it wasn’t without a fight. 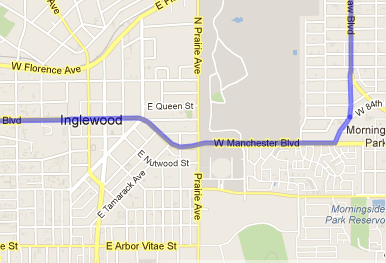 Los Angeles, south of Palmdale, where the shuttles were built, got the newest member of the fleet, Endeavour. It was decided toi leave Atlantis in Florida only a few miles where she was repeatedly launched into space. And Houston where Mission Control and the astronauts live? Houston was one of the two central places in the entire program. Houston got nothing. 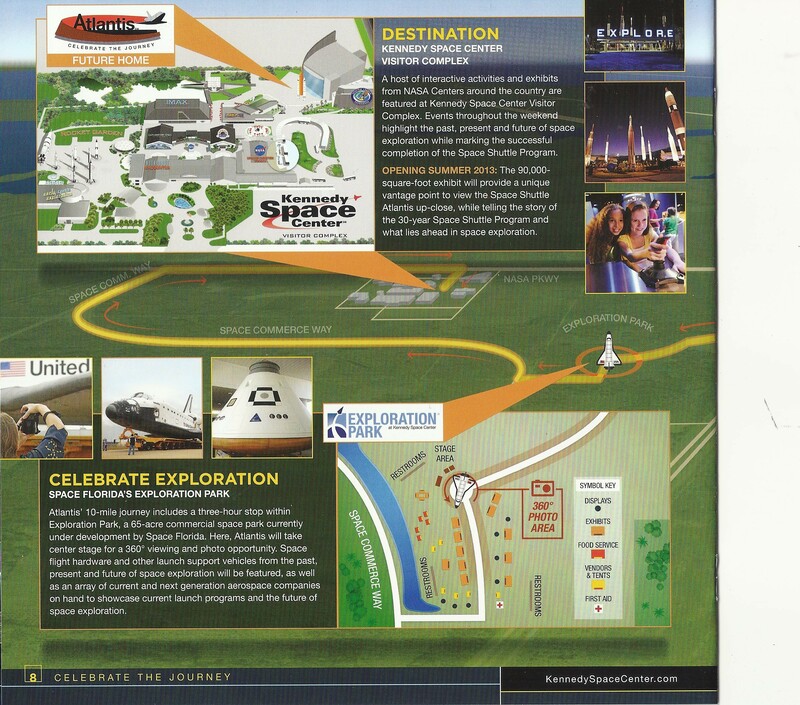 Well, almost nothing: — they got the “high definition” shuttle, a mockup built for the Kennedy Space Center. The High Def leaves the Visitor Center in December 2011. 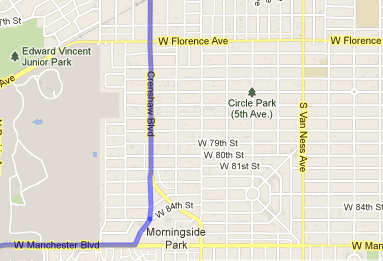 This time the route did not include that guard house . 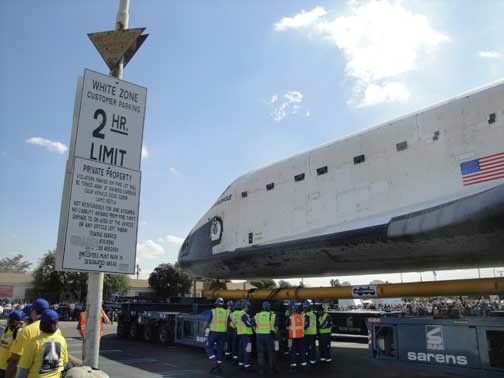 Meanwhile, Enterprise, which had been at the Smithsonian and was a test vehicle, was sent to New York where, reportedly, it was severely damaged by Tropical Storm Sandy in November 2012. Why was Houston stiffed? Texans are convinced it was pure politics: — payback from President Barack Obama for not voting for him. It’s what they believe. 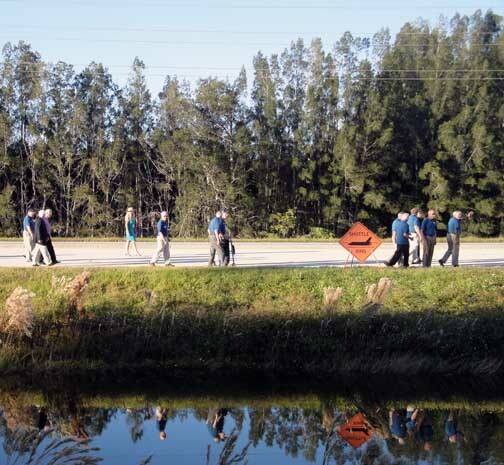 On Friday, November 3, 2012, Atlantis, the last of the surviving shuttles and the last shuttle to go to a museum, was guided along the roads at Kennedy Space Center, across open fields and eventually eased into its final resting place only a few miles from where she flew more than 30 missions. 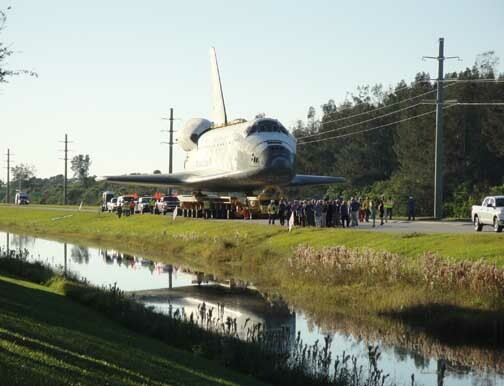 Atlantis is home, and now becomes a museum piece and, hopefully, an inspiration for generations to come. 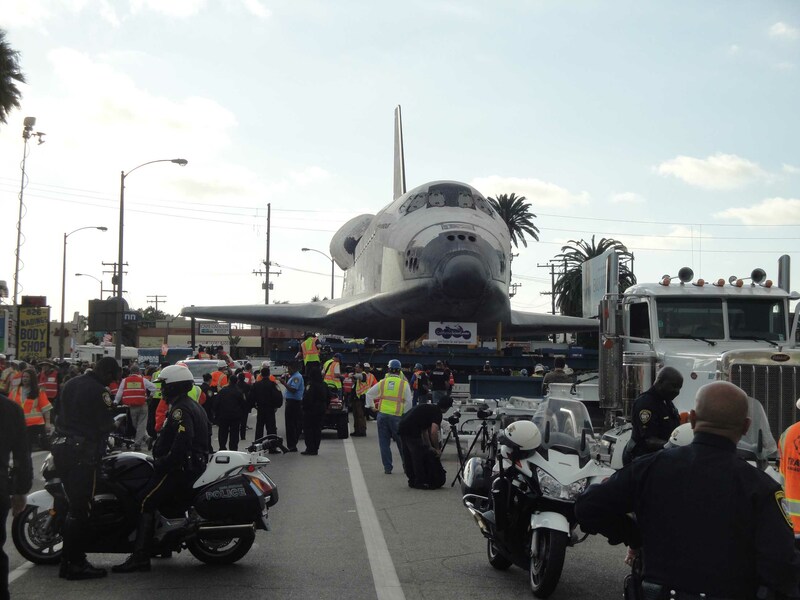 Moving Atlantis on a circuitous 12 mile route to the Kennedy Space Center Visitors Center on Friday, November 2, 2012, was easy compared to the challenges of moving the Endeavour two weeks earlier through the streets of Los Angeles to the California Science Center. 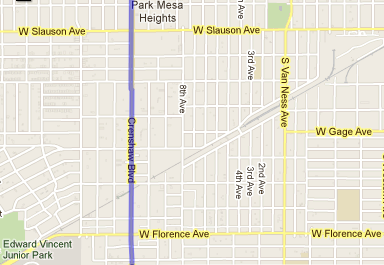 The distance was the same — the challenges were not. The rollover of the Atlantis from the Vehicle Assembly Building where she had been stored began early. The badging center for the media opened at 4:30 am — and closed at 6 am when the roads at Kennedy Space Center were roped off and closed. No one had any doubts this would be a long day. 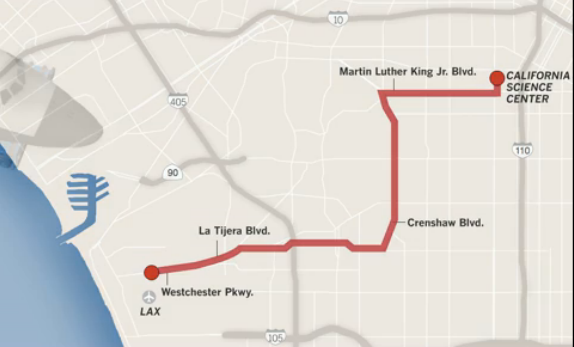 Any media that had traveled west for the move of the Endeavour in Los Angeles in mid-October 2012 knew things could get way off the reservation as they had to Los Angeles. The Visitors Center had fireworks planned for 7 pm when the Atlantis was scheduled to arrive at the building where she will be housed. Did Atlantis arrive on time? You betcha. The media was moved six times during the rollover’s 12 hours in a complicated series of handoffs. 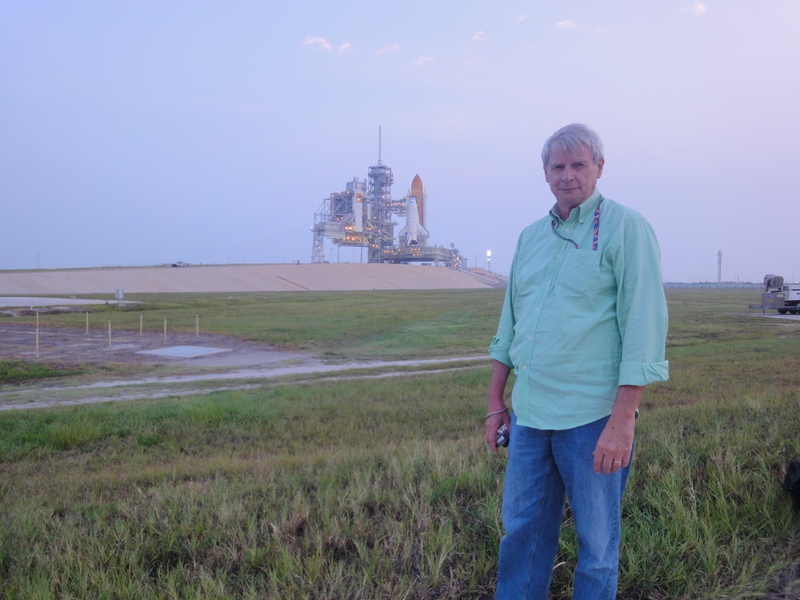 Initially the media came to the press site, parked and boarded buses to the VAB. Once the Atlantis was out of the VAB and on to the road, the NASA buses moved the media to a second location ahead of the shuttle. 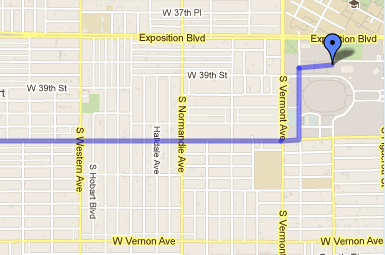 And, given how fast they were driving the shuttle, it was not long before here she came. 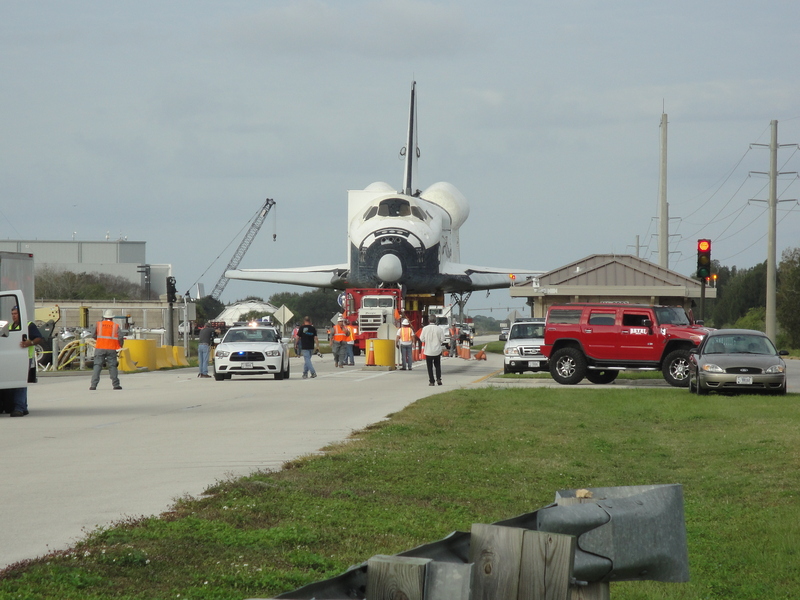 Obligingly, the Atlantis was stopped at an intersection and the media moved in to shoot photos and video. 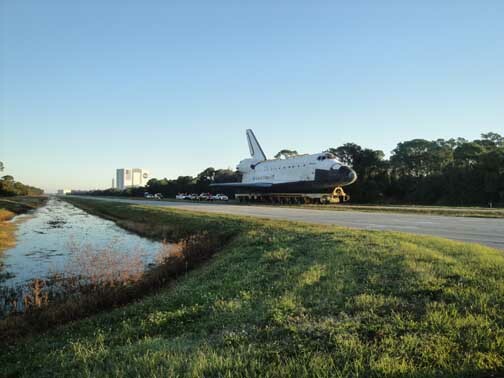 For most of the press this was either the third or fourth shuttle move they had covered beginning with the movement of the High Definition shuttle in December 2011 which was sent from Kennedy Visitors Center to Houston to make way for the Atlantis. 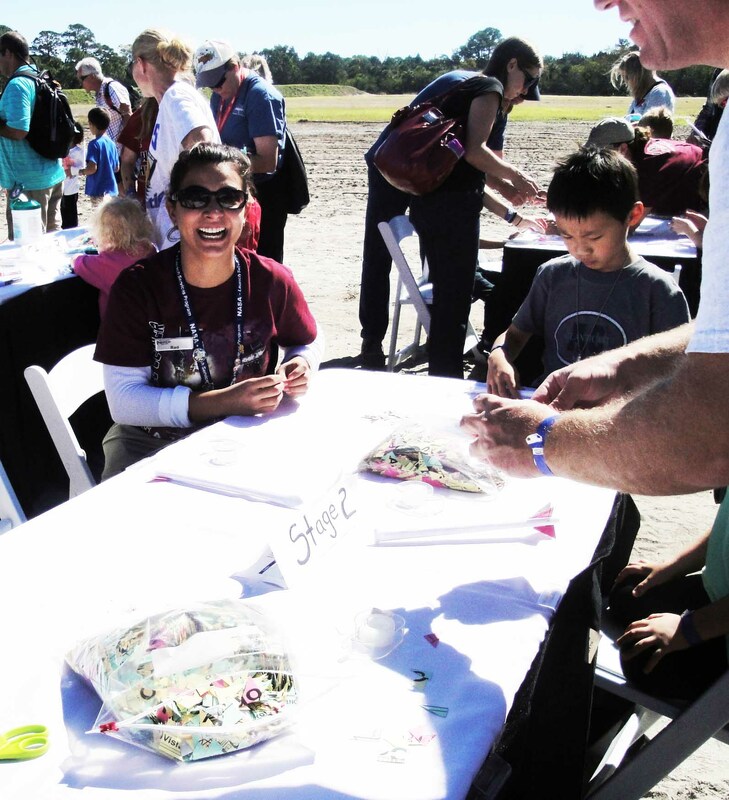 Many who worked on the shuttle program walked her from the VAB and then gave way to a local high school band, and still later to astronauts who had flown aboard her. 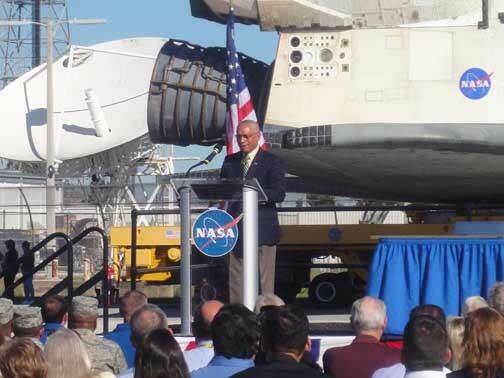 The first stop for Atlantis was in front of the NASA/Kennedy administration building where Charles (“Charlie”) Bolton, NASA administrator and a former astronaut, signed the rights to exhibit the Atlantis over to the Kennedy Vistor’s Center. Unlike other shuttles, which were sold and rights relinquished, NASA will continue to own the Atlantis allowing the Visitors Center to exhibit her. Charles Bolton signs over the Atlantis. Familiar troubles were just beginning. NASA had put visitors in front of the press here and these guests began blocking any photographers who were not able to get onto the few photography stands. When asked to move most refused to do so. This behavior is becoming increasingly common. 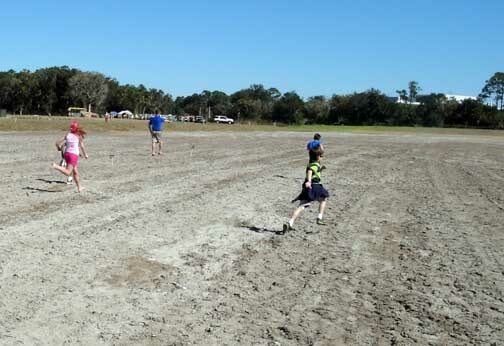 After the signing ceremony, Atlantis set out again, this time for an extended stay at the new NASA Exploration Park which currently is an open field, but where development is on the way. At Exploration Park Atlantis was parked for three hours allowing guests, media and those who had paid the Visitors Center for rights to see her here to walk closely around her. Food, exhibits, speeches and music also took place at the park. But at 3 pm, by which time most people had headed for the Visitors Center, Atlantis set out for the final leg of her journey The press was handed off here. Visitors Center now assumed control and movement of the press. Atlantis spent her the afternoon with her nose nestled among exhibition and food booths. 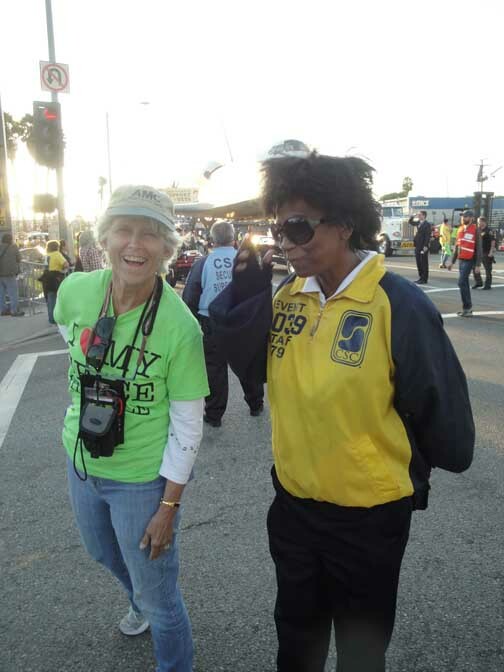 As as was true in Los Angeles for Endeavour two weeks earlier, the public was allowed to walk right up to her. Because the shuttles never left KSC unless being launched, hardly anyone had ever seen them before the movements of them to museums. The reaction of most people when they first saw the shuttles (which weigh about 155,000 pounds and stand 55-high) for the first time? They were surprised how big they are. 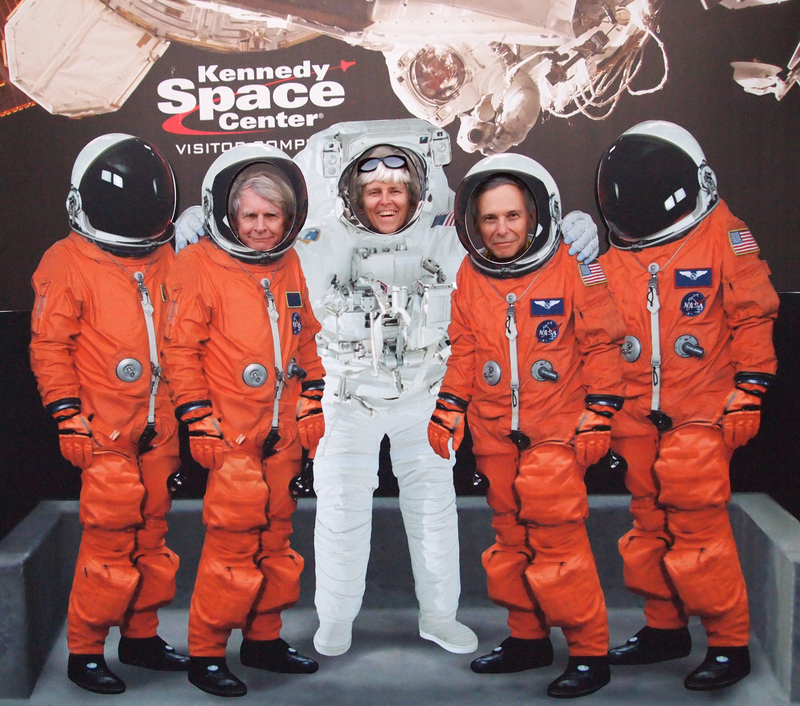 The Kennedy Visitors Center does a great job of educating about space and NASA’s programs including fun interactive games. At Exploration Park children and adults were invited to make their own rocket, attach fins, decorate, fire the rocket (using compressed air) and then go retrieve their rocket down range. Those sending their rockets the furtherest were, from time-to-time during the afternoon, awarded small prizes. Here several children begin to make their rockets. Rockets were fired with air which was compressed using a bicycle pump. Here a young rocketeer pumps and compresses air into a small canister. Then all you had to do was press as button and …. whoosh! Off your rocket goes! The children were being shown, and doing, all of the basic principals and steps of rocketry. 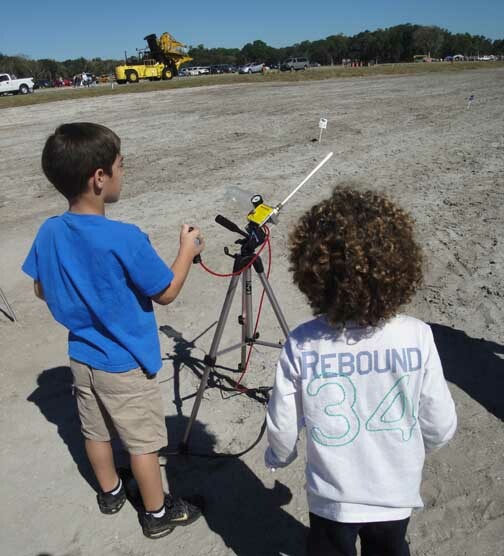 After firing, the children headed down range to find out how far their rocket had gone and to retrieve it. They were welcome to fire as often as they wished since there were plenty of “firing stations” available. Late in the afternoon, Atlantis rounded the corner for the final time and approached the Visitors Center where she stopped while guests at the Visitors Center took pictures and had a second look at her. 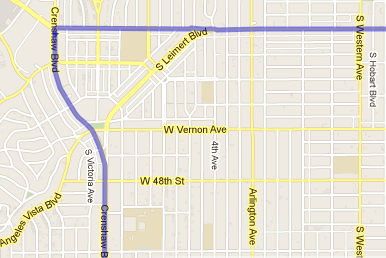 To move the Atlantis electric wires had to be raised, and stoplights and signs removed. It took extensive and time consuming preparation. 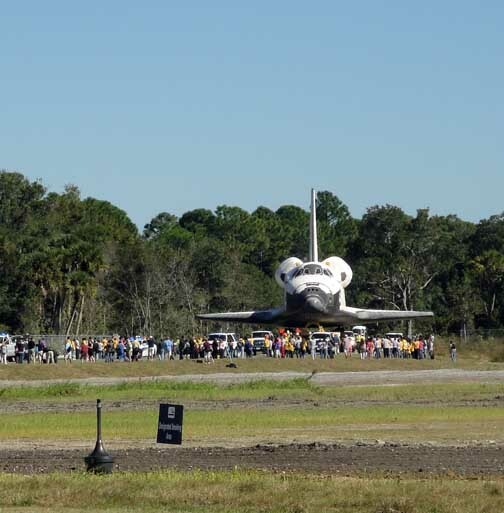 Atlantis was led the final mile to the Visitor Center by astronauts who had once flown aboard her. It was a poignant moment reminding those watching how some of the once young and vigorous astronauts have aged. One used a walker. 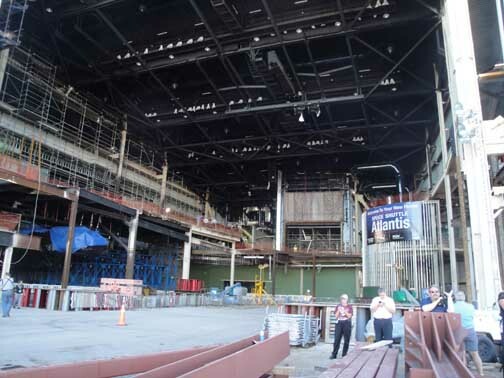 Atlantis will go on display in the summer of 2013 in a remarkable configuration allowing visitors to peak inside. Each of the shuttles are being displayed in different configurations although the museums did not co-ordinate with one another how how they planned to display their shuttles. 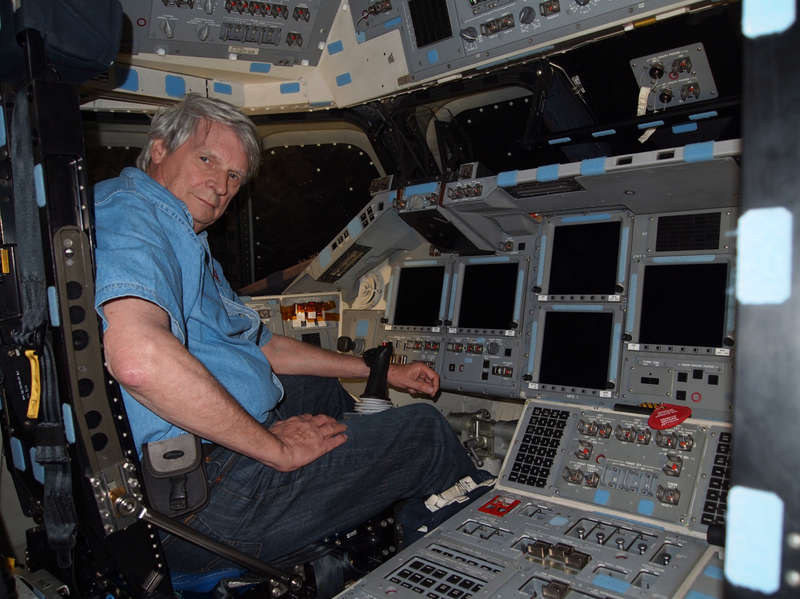 Preparation for Atlantis’ arrival began last December with the removal of the “High Definition” shuttle mock-up that had been on display here. That mock-up was sent to Houston for display. After it had been removed construction on this building which will house the Atlantis began. This is where Atlantis will eventually be displayed. Currently the building is, obviously, still under construction. 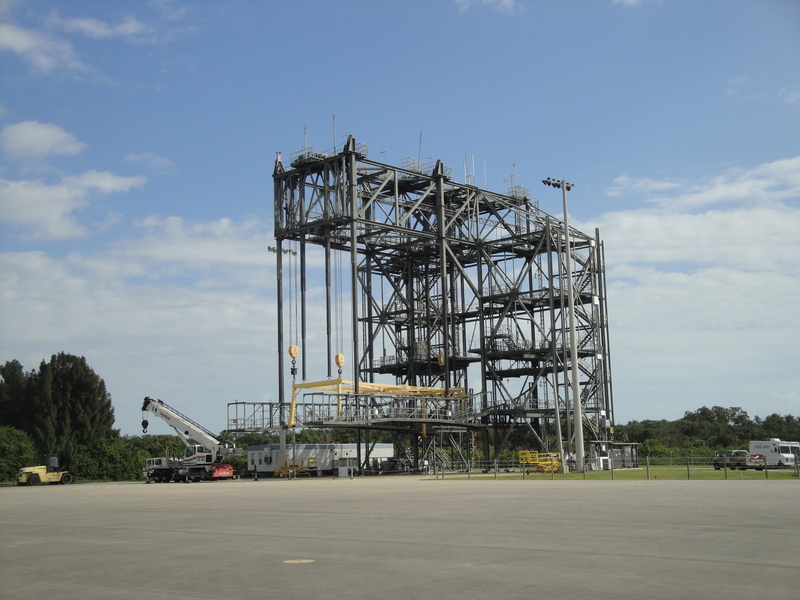 The beams that will support Atlantis as if she was in flight are visible in the lower right. 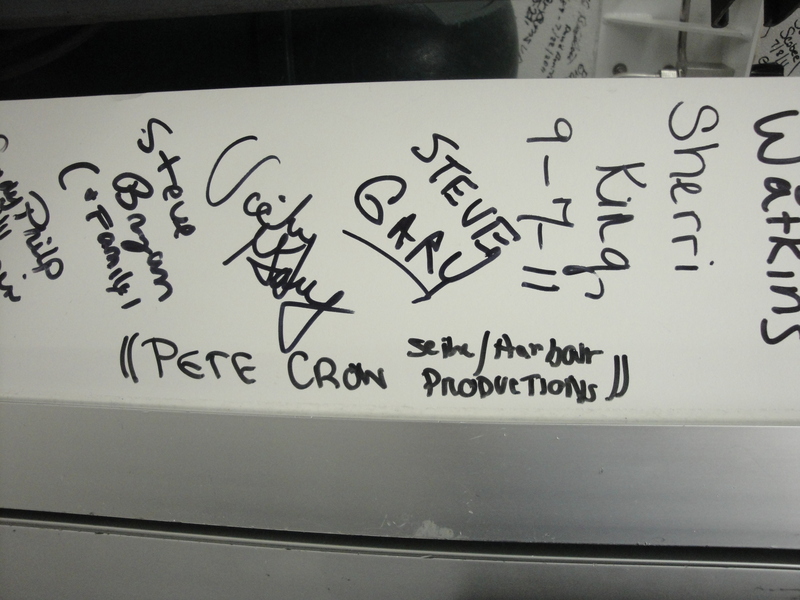 Atlantis was moved into the building late Friday night November 3, 2012. She was then bundled up to protect her while construction continued. First up: the front of the building was closed in. 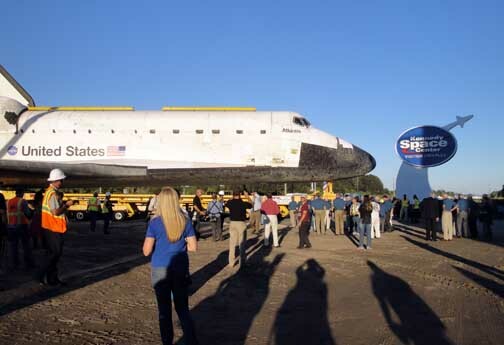 As dusk approached, Atlantis was eased into the construction site where she came to a halt. Officials and media gathered. More words were spoken, and photos were taken. Fireworks were fired. 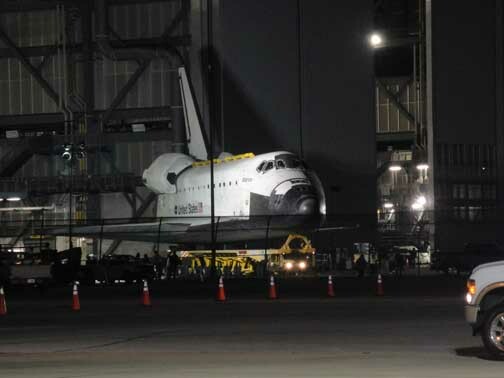 And then about 8 pm Atlantis was driven into the building where sometime next summer she will be receiving visitors. The American Space Shuttle era had come to its final end. 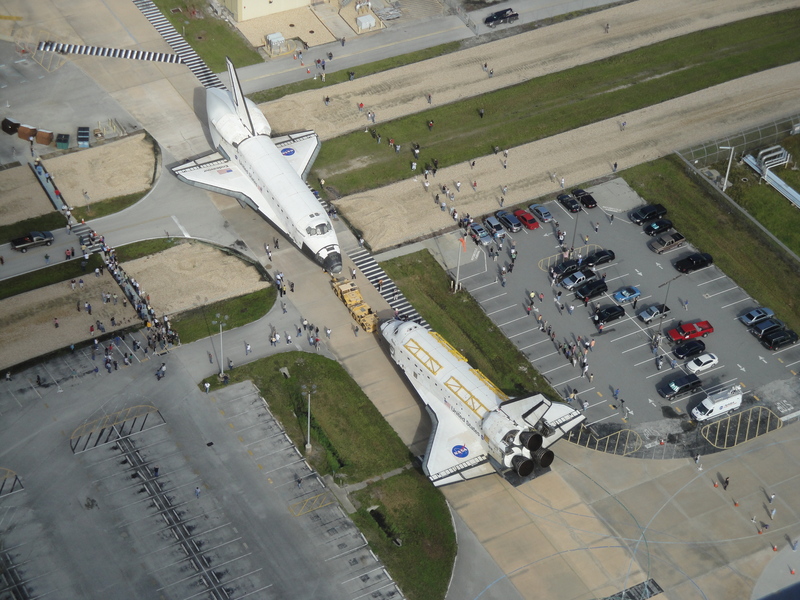 For the first time since the early 1980s, no space shuttles are either in the hangars at KSC or in space. It’s over, folks. PeteCrow/NASA, photographs and content, are the copyrighted literary property, © 2012 of Seine/Harbour™ Productions, LLC, Studio City, California. Please visit our other sites, including The World ReBooted® by clicking HERE. The final mission in July 2011 the Space Shuttle program was STS-135, an add-on mission necessary to re-supply the International Space Station through the end of 2012. This photograph is pre-dawn morning at Kennedy Space Center a day before the final flight. “NASA managers have postponed the ferry flight of space shuttle Endeavour to Wednesday, Sept. 19.The decision was made to ensure a safe flight for Endeavour and the Shuttle Carrier Aircraft. This is the second day in which weather along the route of the 747-100 Shuttle Carrier Aircraft N905NA was deemed too risky to send the Endeavour west. 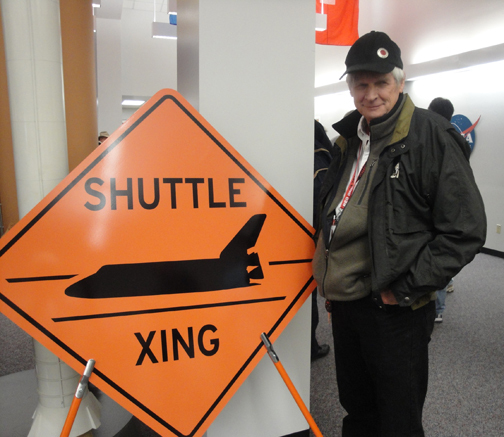 The Shuttle was mounted piggyback onto the 747-100 in two stages on Frday, September 14, and Saturday, September 15, 2012. 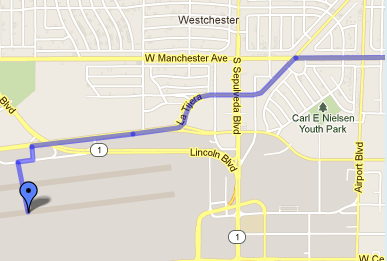 Angeles International Airport (LAX) on Friday, Sept. 21.
science center to ensure a safe flight for Endeavour and the SCA. CLICK to ENLARGE The Mate/Demate device is located on the souheastern end of the Shuttle Landing Facility. The shuttle is driven in, then lifted allowing the 747 to be towed in beneath it. Then the shuttle is lowered onto the back of the 747-100 and secured. The process was successfully used for almost 40 years beginning with the early test flights. 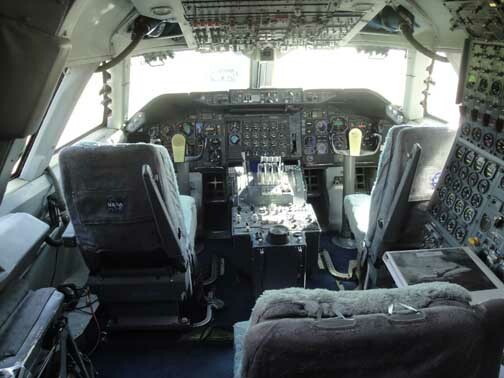 The primary 747-100, purchased in 1974, had been in commercial use by American Airlines before being acquired by NASA. 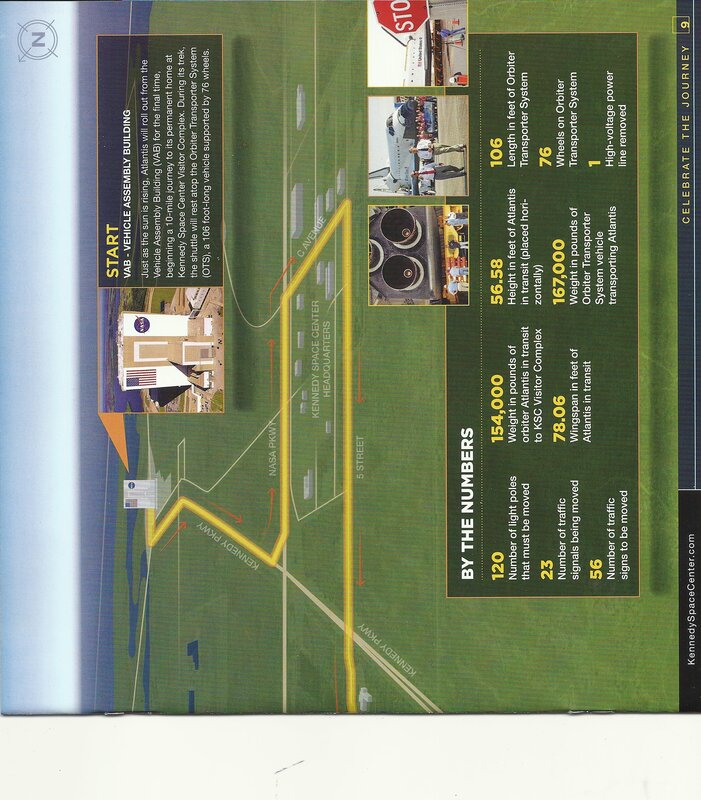 Complex, Cape Canaveral Air Force Station and Patrick Air Force Base. Force Base in California, before landing around mid-day at Dryden. Angeles sites before landing about 11 a.m. PDT at LAX. 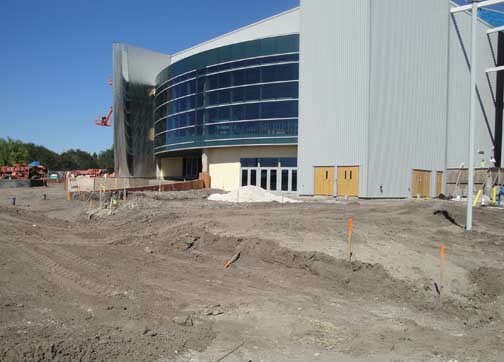 the science center, arriving in the evening on Oct. 13.
space and educate and inspire future generations of explorers. Earth 4,671 times while traveling 122,883,151 miles. 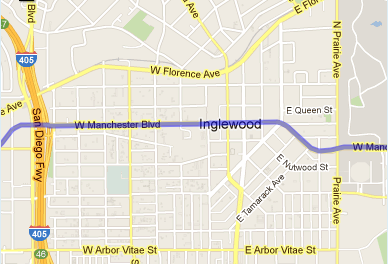 Endeavour — your ride has arrived. 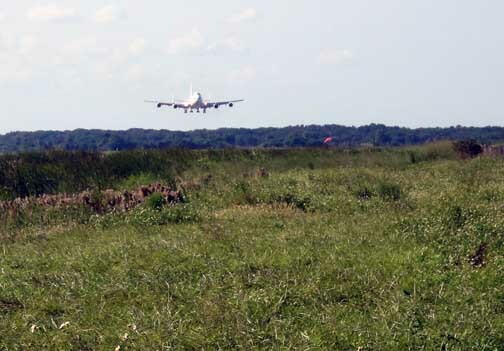 NASA’s 747-100 SCA lands after trans-continental flight from Edwards AFB, California to Kennedy Space Center Florida, on September 11, 2012. On Monday, September 17, 2012, Endeavour, atop this 747-100, will begin its final journal across the United States to Los Angeles and to the California Science Center. 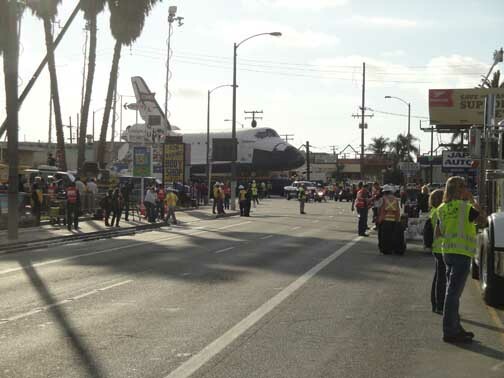 The Space Shuttle Endeavour will arrive at the CSC on Saturday October 13, 2012 after an overnight and full day’s journey through the streets of Los Angeles from Los Angeles International Airport. 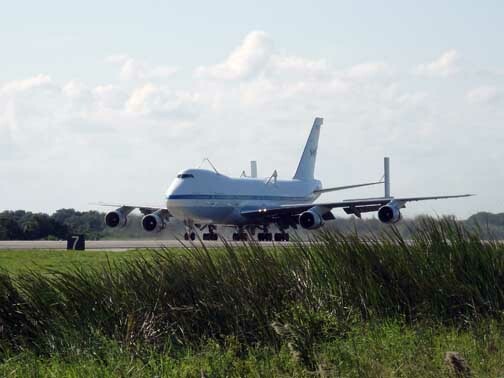 NASA’s 747-100, known as the Shuttle Carrier Aircraft (SCA), took off from Edwards Air Force Base at 8:26 am PDT and landed on the Kennedy Space Center Shuttle Landing Facility 5 hours 39 minutes after its non-stop transcontinental flight. Few media showed up for the landing. Only nine media attended. NASA sent five staff members to keep an eye on them. The landing begins a series of seven days of activities at the Kennedy Space Center, culminating in the departure of the Endeavour at dawn on September 17, 2012. 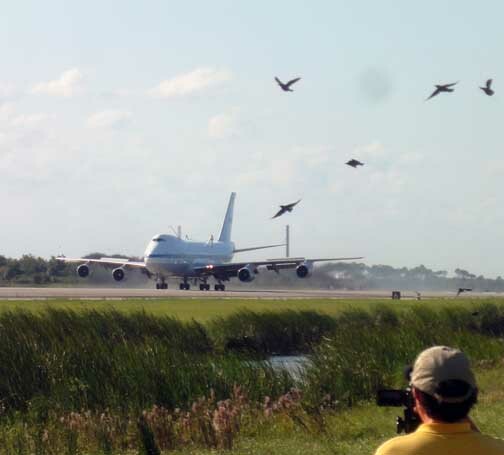 Later in the week media will be taken on board the 747-100, interview the crew, see updates to Kennedy launching pads, visit the old firing rooms and view the mating of the Endeavour to the top of the NASA 747-100. 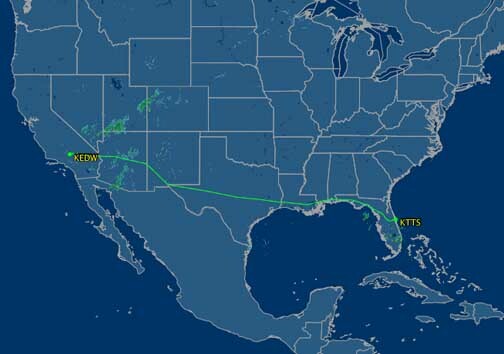 The flight path of NASA flight 905 from KEDW to KTTS on September 11, 2012.
transport Endeavour to LAX for a planned arrival on Thursday, Sept.
additional advisory will be issued.